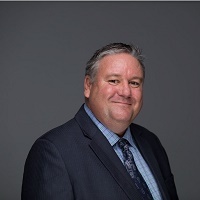 Come along to hear from Ralph Ellis, President Operations Services-Asia Pacific at Wood, about how Wood is managing this to maintain their role within the energy market amidst this disruption, focusing on how energy transition is impacting the Asia Pacific market for Wood and its clients. Learn how to employ similar strategies to help your business embrace disruption within the market. Ralph Ellis is President Operations Services - Asia Pacific with Wood. Ralph leverages his 28 years' experience within the oil and gas industry, leading Wood’s operations services business across Asia Pacific. He moved into the role from his position as senior vice president - Western Australian and Asian operations in 2017 where he held responsibility for the safe delivery and overall performance of a portfolio of contracts for customers including Woodside, ConocoPhillips, Hess, Exxon Mobil, and Chevron. Ralph joined Wood Group in 2014, having previously fulfilled project manager and director positions for customers including Shell and BP. With an honours degree in mechanical engineering, Ralph commenced his career in the sector in project and discipline roles, developing his expertise in engineering, procurement, construction and maintenance across brownfield and greenfield facilities, before moving into senior and executive management positions. His focus will be maintaining and growing Wood's Asset Solutions business in the region, and leveraging new opportunities and client relationships through close collaboration with our Specialist Technical Solutions and Capital Projects capability. Ralph is a member of the Petroleum Club of Western Australia and sits on the advisory council of the Clontarf Girls Academy; a not-for-profit charitable organisation that develops and empowers Aboriginal girls through leadership training, mentoring, sport and extra-curricular programs, working within the school system to provide the support needed to help them realise their full potential. Wood is a global leader in the delivery of project, engineering and technical services to energy and industrial markets. Wood operates in more than 60 countries, employing around 60,000 people, with revenues of over $10 billion. Wood provides performance-driven solutions throughout the asset life-cycle, from concept to decommissioning across a broad range of industrial markets including the upstream, midstream and downstream oil & gas, power & process, environment and infrastructure, clean energy, mining, nuclear and general industrial sectors. Sponsorship Opportunities Available. For more information contact eventswa@amcham.com.au. Disruption within the Marketplace: Impact of Energy Transition in the Asia Pacific region Come along to hear Ralph Ellis, President Operations Services - Asia Pacific, Wood discuss how to best manage disruption within the marketplace to make it work to your businesses advantage.